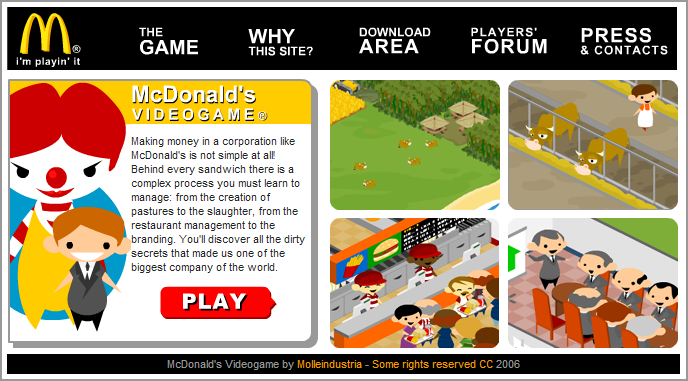 This week we’re taking a look at the McDonald’s Videogame, where you own and operate a McDonald’s restaurant. In the game you have the choice to try to operate ethically or make decisions like using genetically modified soy or administering bovine growth hormone. If you go the ethical route, you bankrupt the company and lose. The game is designed by Molleindustria, an Italian guerrilla semiotics and culture jamming website.